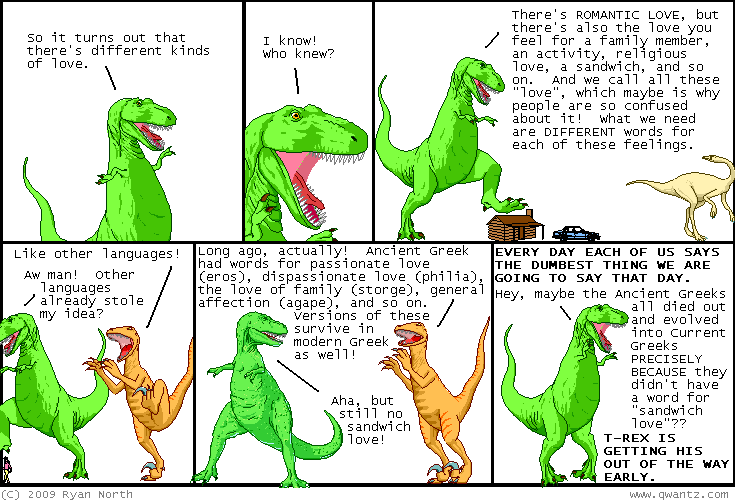 Dinosaur Comics - January 14th, 2009 - awesome fun times! January 14th, 2009: Alien Loves Predator is back, and has been back for a while, actually, but I am behind the times! I have no idea how Bernie finds the time for making this comic but I am glad that he does. If you haven't read it before I think you will enjoy it!